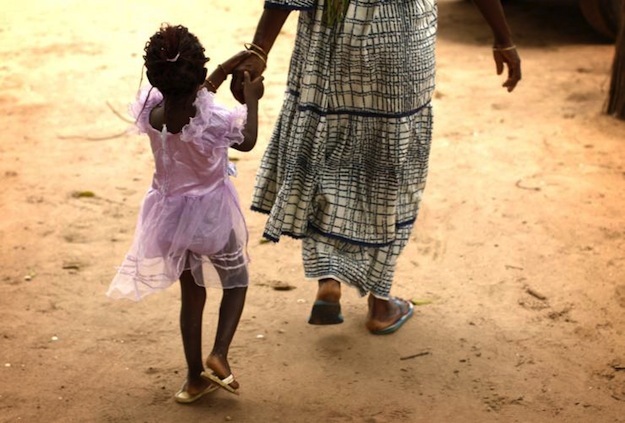 Last week, the International Business Times reported that Nigerian President Goodluck Jonathan had signed a bill that criminalizes female "circumcision," or what many have termed female genital mutilation (FGM). It is estimated that almost 20 million Nigerian girls and women have undergone the practice, which has long been protested against by human rights advocates. FGM is supposedly practiced for a number of reasons—including as a rite of massage to indicate a girl is ready to marry, and to curb the sexual desires of women. However, it is often a violent and traumatic experience for the girls and women who undergo it, and can lead to a number of emotional, psychological, and physical health issues. Thus, many believe it to be a human rights violation, meant to police girls' and women's bodily autonomy and sexual agency. Public health and women's rights advocates are celebrating this victory. However, they are also realistic about the challenges of implementing the new law, which will require a larger cultural shift to truly abolish the practice. “This is welcome… but I don’t want to romanticize this and say it will be easy to implement,” said Kavinya Makau, a Kenyan-based women's rights activist with the international group Equality Now, to BuzzFeed News. Nigeria's new law is giving advocates and activists hope that 26 other African countries where FGM is still in practice will also take legal measures to ban the act.